This month at Light and Salt Ministries we are hosting a World Race team! 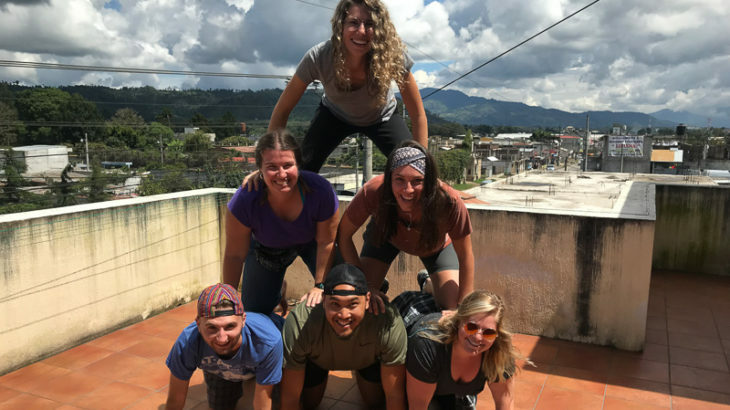 Team Ambassadors started their 11-month journey in August and have spent the past three months in Central America. 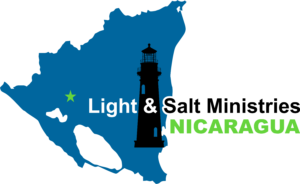 Nicaragua is their last Central American Country before they head to Africa. Let me introduce you to the team! Sara is from North Carolina. She is extremely talented and creative in so many ways. She loves crafting, sewing and quilt making. Her smile will brighten any cloudy day. Rachael is a born and raised Northern Wisconsin gal. Back home she spends her time fishing, hunting, playing sports and, lets be honest, basically anything outside. With a tender and compassionate heart she leads our team so, so well. Courtney is from Southern Georgia. This girl is such a light to our team! Seriously, she has the most contagious laugh ever. AND she laughs at everything, which makes you feel like a million bucks. Courtney is exceptionally caring, loving, down-to earth and so merciful. Caleb was born and raised in South Dakota. He is extremely full of knowledge and brings so many facts and ideas to our team. Caleb keeps our team energetic and literally fills us up with his youthful spirit. The only vegetables he actually enjoys eating are carrots and peas. Will was born in Chicago but raised in Michigan. Will has an incredible servant heart and he does so with such humility. He has such a pure, respectable heart, and is extremely wise. He knows numbers and can add basically as quickly as blinking. Lastly, there is me, Kelley. I am from North Carolina. Born northern, raised southern. I absolutely love anything outdoors, from hiking, climbing to fishing. I am an animal lover by heart and by education. I am so excited to share videos and photos of what is going on here at Light and Salt this month! We are so excited to partner with LASM this month. Check out this video about our travel day from Granada to Cuidad Dario.